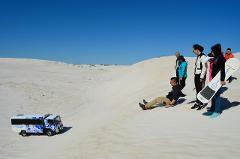 Join Westside Tours on a 45 minute adventure ride through the pristine white sand dunes of Lancelin, located 1.5 hours north of the Perth city centre. magnificent crystal clear waters of the Indian Ocean as the backdrop. 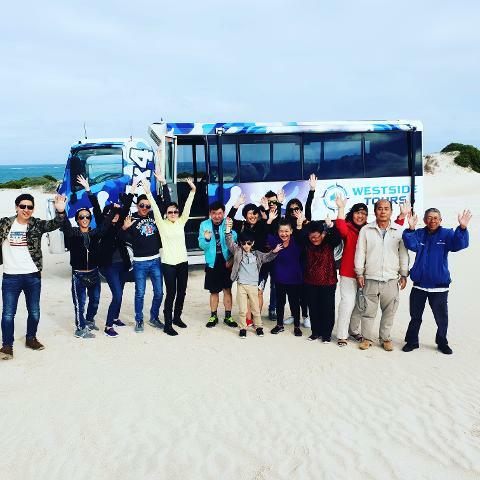 Along the way, the bus driver will make a couple of stops, allowing the perfect opportunity to take a selfie and appreciate the beauty of the area. 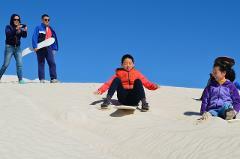 For those that are up for it, try your hand at sandboarding down some of the best dunes, only accessible by 4wd!